How do you make investment choices? Be sure to CLICK on Sound to listen. What DO you have? vs What you THINK you have? What type of portfolio do you have? Are you feel comfortable going over your monthly statement? How will you be when another 2008 comes along and whacks 30 to 50% out of the market. How much of your future income stability do you want to be provided by the markets? I think it will do well. I pray it does well, but I have no idea how or why it should do well. I lost money, but I was told everyone did - so that makes it OK. I can teach you HOW your portfolio should work and WHY it works the way it does. The simple 2 asset Asset Allocation type portfolio. Oftentimes portfolios are expressed in two asset allocation numbers like 60/40. The first number, 60, is the percentage of more volatile stocks or equities in a portfolio. The second number, 40, is the percentage of bonds or fixed-income investments in the portfolio. This is a simple stock/bond Asset Allocation percentage. There are portfolios that range from 0/100 all the way to the other end of the scale at 100/0. Each different portfolio has its own pluses and minuses that I will go over with you. Asset Allocation is only half the story if even that. Below is a generic mix of Vanguard's stock and bond Asset Allocations from 1926 to 2013. The first number is the stock/equity %, then the “/”, then the bond/fixed income % of the portfolio. Investments and/or investment strategies involve risk including the possible loss of principal. There is no assurance that any investment strategy will achieve its objectives. Takeaway #1: The greater the % of Stocks the greater the potential for gain, loss & volatility. Takeaway #2: The greater the % of Bonds the lower the potential for gain, loss & volatility. Takeaway #3: As a rule (and there are always exceptions to any rule!) Stocks are considered a riskier investment vehicle than Bonds. Either can lose money but stocks have the potential to lose faster. Takeaway #4: As the % of Stocks increase it disproportionally increases your overall portfolio RISK! A little more stock % can create a LOT more RISK. RISK can eat your principle alive - and fast! At Royce Financial we, you and I, FIRST take a long, hard look at your RISK Allocation. Then, 2nd most important for retirees, we look at your Income Allocations. THEN, we look at your portfolio Asset Allocations. By now you will be ahead of most retirees - you know what you have and WHY! You have questions - I have answers. Right now I will keep it simple. So, let's start from 10,000 feet work down. You make money two ways. 1. APPRECIATION - usually (not always) this means you buy low and sell high! This would apply to stocks, mutual funds, exchange-traded funds (ETFs), etc. If the markets are flat or down you're mostly outta luck. Betting on markets to appreciate during your retirement may not be enough to keep you solvent. Yes, the markets have always recovered from every crash. But, if you're pulling out money every month to live on will they recover fast enough before you pass? 2. FIXED/EXPECTED INCOME - Is usually some sort of a monthly or quarterly income you can expect from an asset such as dividends from stocks or interest payments from CD’s, bonds, notes, Real Estate Investment Trusts, etc.. 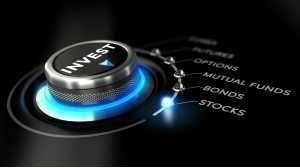 This method is often a major portion of the investments used by retirees, pension funds, endowments and folks in the market for the long haul. What's UP will come down and vice versa - forever and ever, Amen! ALL INVESTMENTS CYCLE. For Appreciation - whatever the market is today, in the past it was lower or higher and in the future, it will also be lower or higher. For Fixed/Expected Income all rates of return have been higher or lower in the past and all rates of return will be higher or lower in the future. Change is for certain and it's for certain it's happening faster every year! So. how in the heck do you figure out when, what, where and how to invest? This is especially problematic when you're moving you're working life 401k to your retirement life IRA. Now, at this time in your life, a different set of investing rules will apply going forward. If you haven't already, please see my section 3. Understanding Risk in Retirement. You have to “get this”! Really, I'm serious. Now, before we go any further I will have already taken you on a Retirement Test Drive and an in-depth discussion about your Risk Allocation, Income Allocation and the levels of risk for any investments we may consider. We have determined how much of your future income you want from guaranteed sources and how much principal and future income you have chosen to put at risk in the market. Now let's look at your options. I have 28 pre-configured portfolios that duplicate, follow in some way or mimic every popular portfolio theory there is out there. Some mix of these portfolios will always be where I will start with a client. There is no such thing as one portfolio that is “best” in a down market as well as an up market. What it takes to avoid losses in down markets and participate in gains in up markets don’t mix. You can have half your portfolio avoid large losses and half your portfolio participate in up markets. Not very efficient but Ok for some folks. I also do a type of allocation mix. Not of assets but of PORTFOLIOS. I tend toward tried and true portfolios that have been around for decades. Of course these days I also use portfolios with a certain level of Artificial Intelligence in them. The shape of things to come! Depending on your needs we will start with a mix from my 28 common preconfigured portfolios. I have all the usual portfolio mixes of small, medium, large-cap, dividend play and international stock offerings with some mix of fixed income treasury, investment grade, junk, floating rate, mortgaged backed, international and municipal bonds. Plus some portfolios spice it up with a few additional offerings. I also have portfolios that mimic famous portfolios that have performed well for some of the largest hedge funds, university endowments, pension funds and famous investors for decades. We will have a long discussion relative to what you feel is understandable and what your level of risk tolerance can digest. That will be a starting point. Subject to change as your thoughts about risk change and if you are feeling more greedy in a bull market or more fearful in a bear market. If you're a more experienced investor we have an “a la carte” menu with over 100 other common Investments certain investors might lean toward when they have a specific niche they want to invest it. After that, as all large investors know, the sky's the limit and I can do it. What my clients like about our portfolio system is that they understand what's in their monthly statement. I send out a consolidated Easy-to-Read monthly statement to all my clients monthly. Of course, you can always go online and get the multi-page more cumbersome statement put out by the account custodian. Move from a 401k, 403b, 457 or other retirement accounts to your own IRA when you retire. Consolidate all your orphan retirement accounts from previous employers into one IRA. Help you move money from your current employer's retirement account to your own IRA if you are at least 59 and 1/2 years old. Remember, for retirement you want to get ALL your previous employer-sponsored retirement accounts consolidated into your own IRA that YOU control! Please do not leave them lying around. Why? Because no one is watching out for your interest, the risk inherent in them and the level of fees that are being charged. As always, past performance is no indication or guarantee of future performance. You have questions, I have answers, let's chat. I can help clear that up! Then consider taking all you know about your retirement on a "Test Drive" with me. I do it with retirees every day, online from the ease of their home computer! Everyone that has taken our Retirement Test Drive has gained new information about their retirement options.